Megapolis is touted to be the “number one city builder game in more than 20 countries,” and like other conventional city builder games, Social Quantum LTD’s title allows you to form alliances, trade materials, and create the best city you could while managing all sorts of facilities, including oil and gas mines, power plants, airports, railway stations, and more. 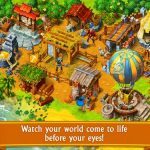 The game also includes “world-famous architecture from ancient to modern times,” and over 700 different buildings and sites with “hundreds” of different construction materials. As Megapolis is quite a deep title, it’s the kind of game you’ll want to play as often as possible, and as long as possible – this isn’t your average casual or Match 3 title. 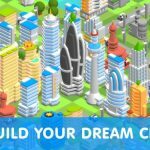 In order to get the most out of the game, we’ve got six awesome Megapolis tips to share with you that will allow you to succeed without having to cheat. Growing your population in Megapolis is important, as more people in your city means more taxes to collect, more individuals to hire for construction, and more benefits in the grand scheme of things. However, your population cap has to be boosted in order for you to bring more people into the city. You can lift this figure by creating different types of structures, and not simply resorting to constructing a whole lot of houses; residential buildings, after all won’t do anything to raise your population cap. 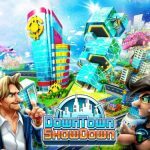 These challenges, or mini-games, aren’t as inconsequential as you think – they may be optional when it comes to Megapolis’ main objectives, but the more challenges or quests you complete, the more chances you’ll have to unlock more buildings, add to your experience points and coins, and win special prizes. Taxes will be the best way for you to earn more money in the game, and you can start increasing your tax rate once you’ve constructed a Tax Office. However, you wouldn’t want to impose exorbitant taxes on your city’s residents – just like in real life, high tax rates make people unhappy. Lower or more manageable tax rates, conversely, also can help you lift your population cap and attract more people to move into your city. Megapolis has a social element, which would make it beneficial for you to add friends. The more friends you have, the more chances you’ll get to build important structures at a lower cost. You can also visit other cities, so that way you can expedite resource acquisition for the projects in your own city. Upgrading structures, like in other city builder games, makes your city more productive and more efficient. You’ll want to upgrade production buildings before thinking of expansion, as it allows for a clean and energy-efficient city. 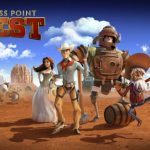 These attractions may not seem important to newer players, but you’ll want to invest in them so that you can add coins to your bank account, stock up on those XPs, and increase your population cap figure.